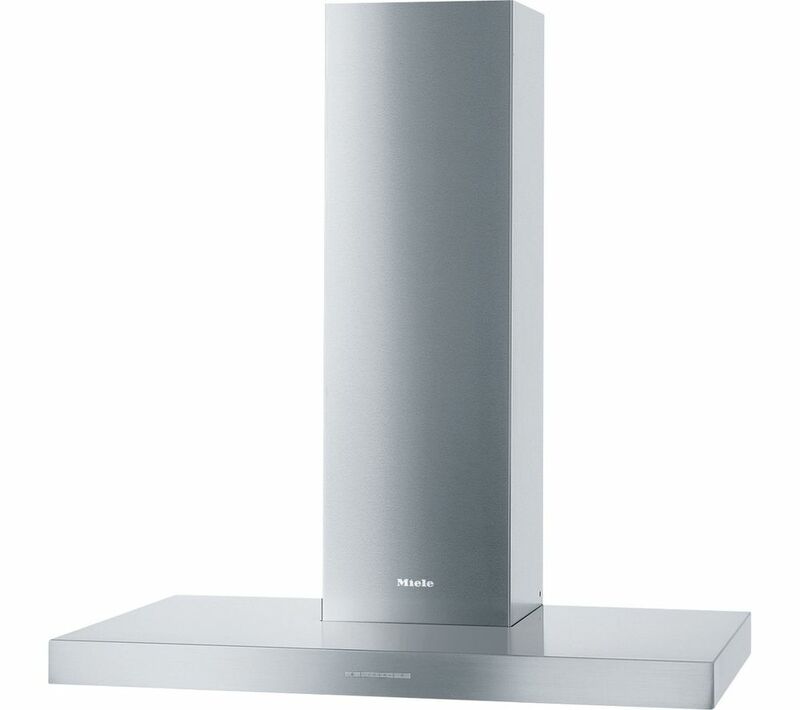 The Miele DAPUR98 Chimney Cooker Hood features a high-performance motor which is great at extracting bad air and unwanted odours. Tested for the equivalent of 20 years use, this chimney hood is guaranteed to deliver powerful extraction for years to come. 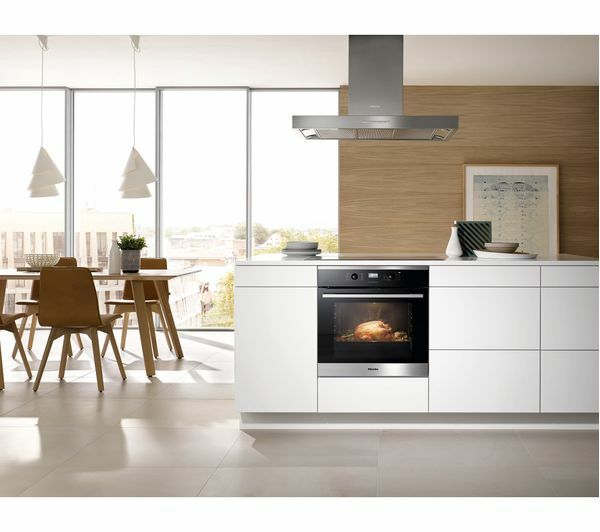 Despite its powerful performance, the motor operates at a comfortably low noise level - perfect for those who like to listen to music whilst they cook, or for homes with an open plan layout. 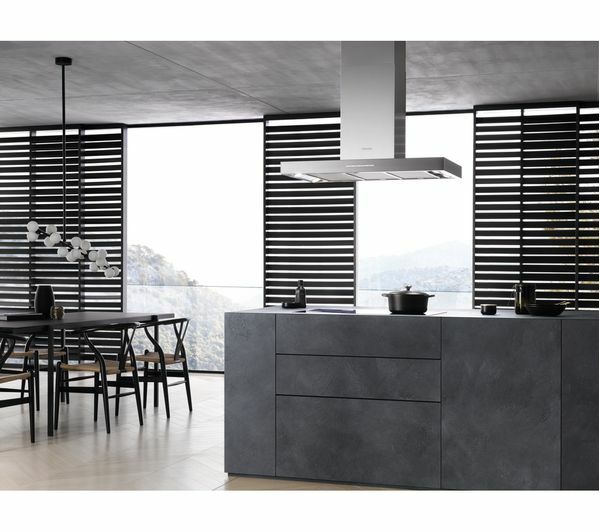 Add a clean, stylish accent to your kitchen with this great looking cooker hood. Stainless steel is remarkably easy to clean, so you can keep it looking as good as new with minimal maintenance. The stainless-steel grease filters can be cleaned in the dishwasher; great for keeping a more hygienic cooker hood. 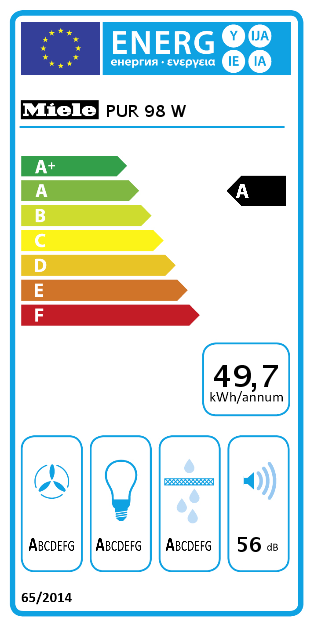 Be assured that your cooker hood won't waste unnecessary energy with its sensible safety switch off feature. After ten hours of undisturbed operation, the cooker hood will automatically switch off. 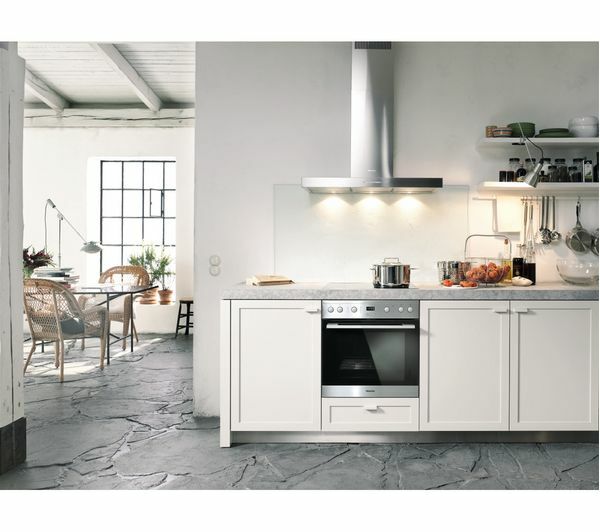 The LED lights save even more energy whilst providing you with a well-lit cooking area that is perfect for cooking late night snacks. It replaced a de dietrich 10 yr old one, was quieter...and when i stood outside i could feel the blower in my hair... so seems more effective. It also frels a lot more solid, stiffer and the grease catching plates weigh a lot more. I can't say as it does what i want!